My name Sarah and I'm a chemist currently doing my PhD in NanoManufacturing. I think it is very relevant for all of us to speak up and get involved in what is happening in the world. As the young generation, we should take action to shape the future we would like to live in - and that's why I decided to get involved in social projects, like the International Development Conference. Shreyashi has completed her MPhil in Development Studies at Cambridge (2014-2015). She will continue to pursue her PhD at the Centre of Development Studies at University of Cambridge from October 2015. Shreyashi is a recipient of the Cambridge Trust Scholarship for her doctoral studies. Prior to Cambridge, she has worked for 3 years on a wide range of developmental issues that centred on water and sanitation, housing, education, land-use, spatial planning and urban governance in India. As a Deputy Coordinator for IDC 2015, Shreyashi brings her expertise in International Development and she is also keen to expand her existing understanding and knowledge. Hi guys! My name is Andre and I'm a third year student at Girton, studying Geography. I have a particular interest in education and people's interpretation of development implementation through this. My dissertation is about how education is used to construct dominant narratives of development among university students, how this informs their life choices and how linguistic and cultural changes have a role to play in this. I love travelling and experiencing new and exciting ways of doing things (as a true geographer should!) and I hope this conference will turn out to be a great one, with lots of inspiration and participation! I am a third-year student at Pembroke studying Politics and International Relations. I am particularly interested in the intersection between politics and international development and the way international policy choices affect the progress of countries across the globe. This summer I am interning for the Women's Ministry in Malaysia and I intend to further investigate the ways in which gender policies are practiced with regards to development in the country. I am looking forward to contributing to the ongoing discussion surrounding international development and interacting with wide range of the student population on the issue. Hello! I study Education, and am interested in how education can empower disadvantaged communities. I chose to be involved with the IDC because of the amazing opportunity it offers: to not only access perspectives on international development by luminaries of the field, but also to meaningfully engage with them. I am a third year student at Newnham College reading Medicine. As one of the Speakers Officers, I hope to draw from my previous experiences in anti-slavery organisations and working groups on human rights and mental health, to help drive conversation on a wide range of topics. I am particularly interested in migrant workers’ rights, global health and inequalities in education. I study Social Anthropology (HSPS), I am involved in the IDC because why not! International Development is an issue that everyone should be aware of and get involved in if they can, and I believe not enough people know how they can act, or that they have the skills to make a difference. I am studying for a BA in HSPS, specialising in Politics and International Relations. I have interned for a number of NGOS and volunteer groups, with a specific interest in looking at the effects of aid on international and domestic economic development. I am a third year Education student at Homerton. I have been lucky enough to experience grassroots development projects in South Africa and India, and I currently work for a development agency in the UK on a consultancy basis. My particular area of interest at present is the role of education in global citizenship, cross-cultural dialogue and peace. 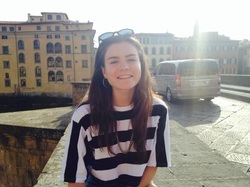 I am a second year Human, Social and Political Science student from Sidney Sussex, specialising in Sociology. An active member of Amnesty International, I am particularly interested in the way that sustainable development influences the establishment of Human rights. I am also very interested in urbanisation, especially the impact that education has on the development of an active city. The theme of the conference this year greatly appeals to me – the future of development informed by the past and the present. I'm Ellie, studying French and Russian at Clare. I'm the International Development Officer at the Hub and the Impact Officer for the next IDC, and I'm looking forward to helping make it the best yet! Richard is a Phd student in design management. His design work, in collaboration with Swarovski, was exhibited in Austria Pavilion during Shanghai Expo. He has also worked as curator for the International fashion showcase during London Fashion Week. Now he is devoting himself with a project based on his Phd research with the United Nation Centre for Trade and Development which considers the role and value of design in a national economic competitiveness perspective.